The Secretary of State said that President Donald Trump's aides Jared Kushner and Jason Greenblatt would soon lay out a proposal "to resolve a problem that's been going on for decades and decades that previous administrations couldn't solve." 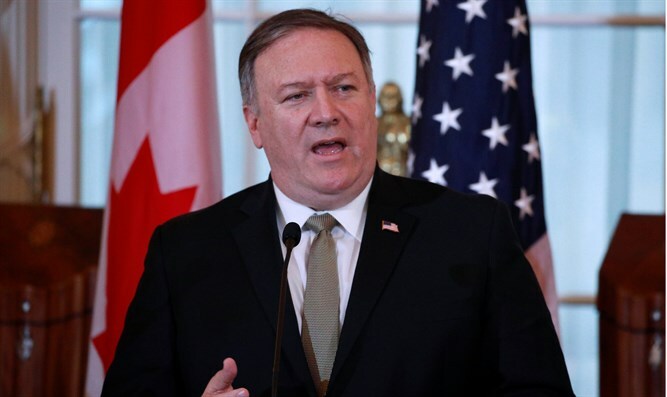 "We're hopeful that we have some ideas that are different, unique, which will allow the Israelis and the Palestinian people to come to a resolution of the conflict," Pompeo added. Several months ago, during a meeting with Prime Minister Binyamin Netanyahu, Trump said he thought a "two-state solution" was the best way to solve the Israel-Palestinian Arab conflict.